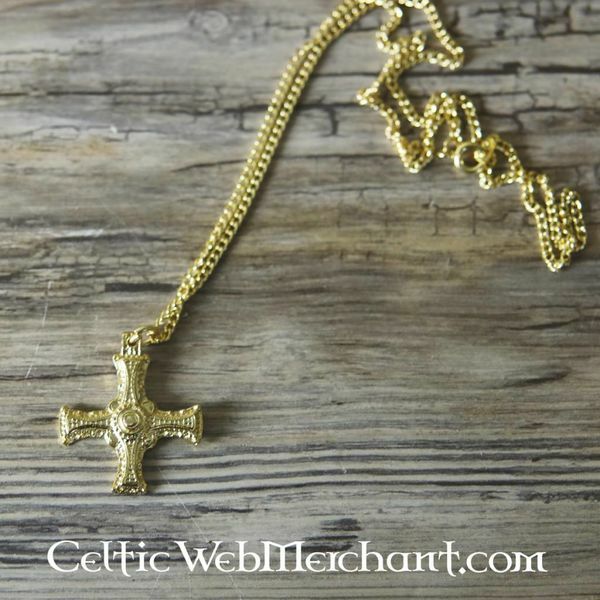 This jewel is based on the well-known Cuthbert cross (640-670 AD). Cuthbert of Lindisfarne was a Northumbrian monk who was canonized after his death. 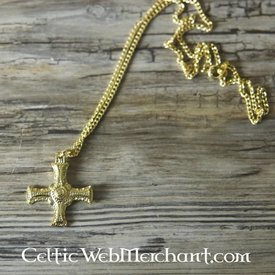 The cross shows influences from the Anglo-Saxon and Irish art styles.